I realize that I have not posted a single Easter-y item this year... So here goes! My boys discovered a basket full of tiny little stuffed animals that I'd collected over the years. Quite frankly, I had forgotten about them -- but they have provided hours of entertainment for everyone this week! In the basket were a few tiny stuffed bunnies. 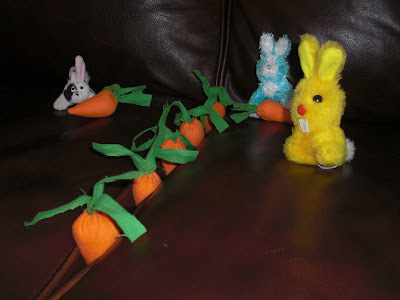 Where there are bunnies, of course there is a need for carrots -- lots of them! 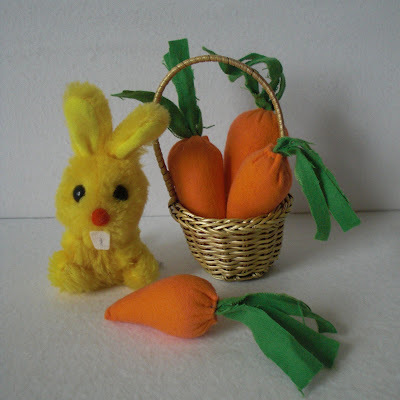 There were two little stuffed carrots I'd made last year in our Easter decor box -- but certainly not enough to go around. So I made more! Here's the Single Photo Carrot Tutorial! They are super easy and I whipped up a pile of them from some flannel scraps in no time. ...after picking them from the "couch cushion garden," of course! That's is such a cute idea! How fun!! I love the couch cushion garden. A perfect place to plant and harvest (and plant and harvest) bunny carrots. Super cute carrots! Check out my blog for a little sunshine coming your way. The couch cushion garden is ingenious! 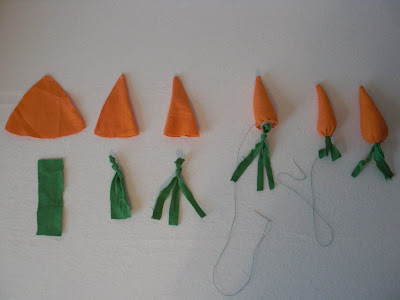 Oh, and the carrot tutorial summed up in one picture is very handy, too! Thanks for sharing! 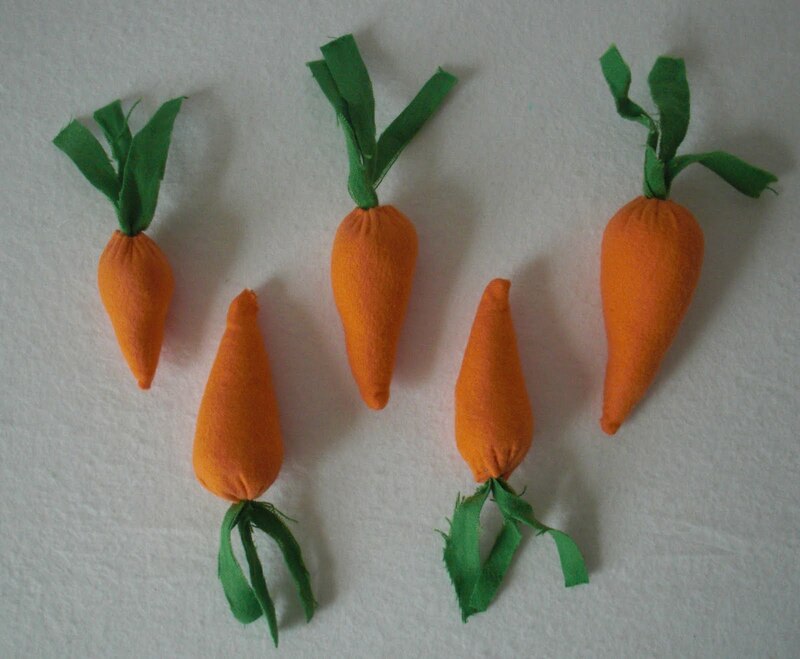 I'm gonna make these little carrots only because it looks like the will fit perfect in the cushions of our couch just like yours! Must easier to fit in there than a plastic egg. love it!